Chain grocery stores have done an enormous amount of research on how people shop. In these huge stores, marketing is primarily transactional. That means there is a minimum amount of personal communication between the customer and the store’s staff. Location, lighting, display and packaging take the place of person-to-person interaction. How do these huge stores entice customers to spend money? Easy. They use psychology. They put the milk in the back of the store forcing the shopper to wend his or her way through all manner of enticing goodies before getting to the milk, which is why he or she came to the store in the first place. But that’s just the beginning. 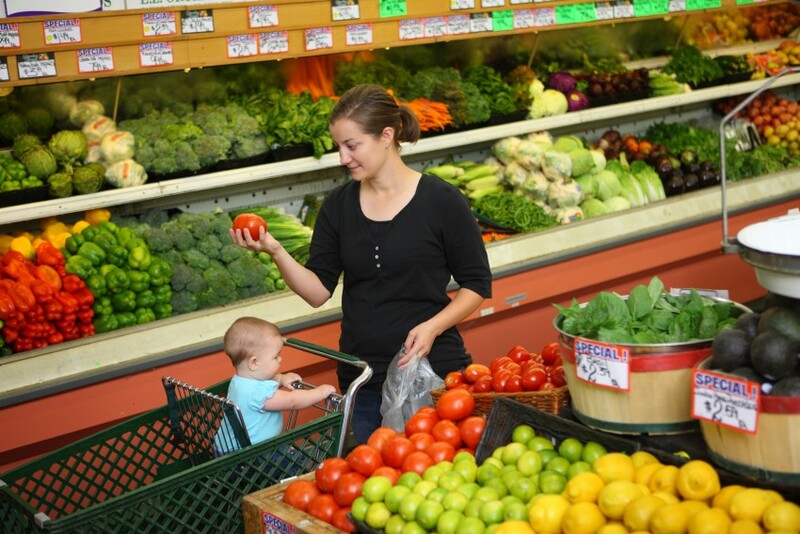 Grocery stores also engage the five senses for a great customer experience. And they are masters at it. The vast majority of people entering any store look left and turn right. Grocery stores put the bakery on the right, somewhere near the front, so it’s one of the first things people visit. Why? It smells good. Smell is purely emotional, not intellectual. Often the deli is close to the bakery near the front of the store. Again, it’s about the senses. Deli food tastes good and makes your mouth water. Delis offer free samples, too. Once past the bakery and deli, the shopper comes upon the fresh produce section. This area has mirrors, spritzed water, and bright-colored fruits and vegetables. Special lighting may be used to enhance the vibrant colors. The shopper’s sense of sight is now fully engaged. By this time, the customer is salivating! Right about now the shopper is ready to go up and down the aisles on a shopping spree. The next thing the shopper sees is product on the ends of shelves promoting specials. These items are easy to pick up and put in your cart. Down the aisles, items that cost more are at eye level. Ever notice how the higher priced wines are on higher shelves while bargain bottles are near the floor? And of course, impulse items like candy and magazines at the checkout counter beckon you to pick them up. Finally, there’s sound. Some grocery stores play background music. Then there are in-store cooking demonstrations. A more recent innovation is the autoplay video display. These videos tell the advantages of a certain fruit or how to prepare seafood. Can non-grocery stores also benefit from appealing to the senses? Sure. It works in just about any retail environment. The product lines could include hardware, clothes, books, recreational products, antiques, you name it. Sense of Smell: If you sell anything with pleasing aromas, such as coffee, put out open bins or samples for shoppers to smell. Or you might use vanilla or other pleasing scents to engage the shopper’s sense of smell. Don’t overdo it, though, as overpowering smells can backfire. Sense of Taste: Even if your store doesn’t sell food or drink, you can still engage the sense of taste. Offer free beverages or a bowl of hard candy on the counter. Hold a wine and cheese tasting to celebrate a new product line or a special company anniversary. Sense of Sight: An open store layout with pleasing displays is a must, starting with the front door or window display. Bright, eye-catching digital signs or pleasing vertical banners that can be printed inexpensively add visual punch. Cleanliness is part of the visual appeal, too, so make your place of business spotless. Sense of Touch: Selling the silkiest hand lotion on the planet? Supply testers for customers to feel for themselves. Make things accessible for customers to touch (except for fragile things). When goods aren’t accessible, even as a sample, there’s an invisible buying barrier. Sense of Hearing: Soothing music or even a white-noise machine to mask street sounds makes for a relaxing environment. Eliminate negative sounds, too. Don’t allow employees to talk on mobile phones, gossip, or gab in groups in front of customers. Take advantage of what grocery stores have known for years. Use the five senses to create a great customer experience to encourage buying.